Rice noodles are noodles that are made from rice. Their principal ingredients are rice flour and water. However, sometimes other ingredients such as tapioca or corn starch are also added in order to improve the transparency or increase the gelatinous and chewy texture of the noodles. 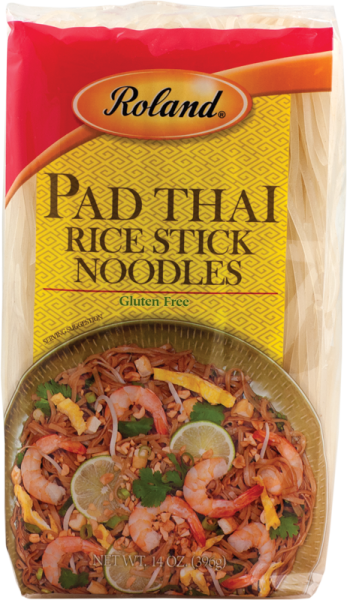 This long thin and flat shape is most often used in making Pad Thai.